I’ve discussed the concept of serendipity before on Any Given Reason, and the adventure and discovery to be found in being lost while traveling. The best things are always unexpected, and it pays to keep your eyes open to possibility no matter how discouraging your circumstances may seem. Recently, I was traveling through the Swiss lakes on my Vespa with the unlikely goal of reaching the holiday town of Lausanne by nightfall. My tent had flooded the previous night in Italy which meant that all of my possessions except the clothes I was wearing were packed sodden in my bags, and I was lost. I had a ferry booked on the other side of France for a 4am Thursday morning Channel crossing which I had to make in order to not miss the Goodwood Revival Meeting; it was 6pm on Monday night and I still had close to 1000km of Switzerland and France to cover. The small 125cc capacity of my Vespa meant I couldn’t ride on the Autobahn, and whilst it was tempting to give it a crack anyway, I decided to play it safe and take the slower route through the towns. Italian cars, like their French counterparts, are possibly the most divisive vehicles in all autodom. You either love them or you hate them, and in this argument there are very few fence sitters. Almost everyone appreciates the svelte lines of a 246 Dino or the downright cuteness of a 500 Bambino but when it comes to actual ownership, it’s only the brave who put their money where their mouth is. Those that are willing to endure dodgy electrics, crummy interiors and rusty metal are treated to superior dynamics, glorious noises and wonderfully tactile controls. Not to mention the fact that every journey in an Italian vehicle (with the possible exception of the new ones) is tinged with just a tiny bit of doubt. How boring would life be if you were always completely certain of reaching your destination? I had a few spare hours in Melbourne the other day so I decided to head down to Maranello Motorsport in Richmond for a look around. Maranello Motorsport (MM) is just a 10 minute train ride from Flinders Street Station. From the Richmond stop it’s just a five minute walk down the funky and arty Cremorne Street. It’s quite a surreal walk – the street is very quiet, you pass a whole collection of small designer furniture stores and boutique legal practises and then Bam, there’s an F40 sitting right there. Last week I was in Perth for Top Gear Live (post coming soon), held at the Burswood entertainment complex. I’d heard that the lobby area of the Burswood casino/InterContinental hotel is often worth a visit so I decided to check it out before the show. It didn’t disappoint. Short of the likes of something like a Ferrari Daytona, this is just about the coolest thing you could possibly drive into the city. 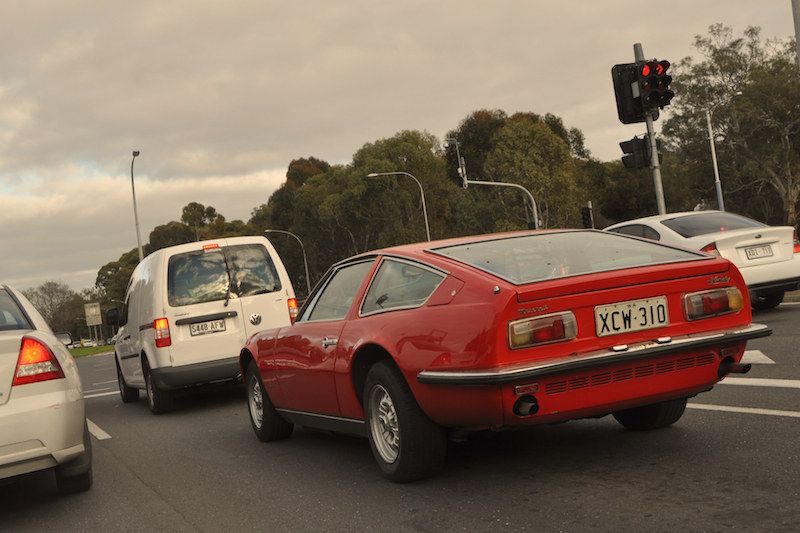 I spotted this Maserati Indy this morning heading west along Greenhill road, before turning toward the CBD. I can’t even remember the last time I saw one of these. 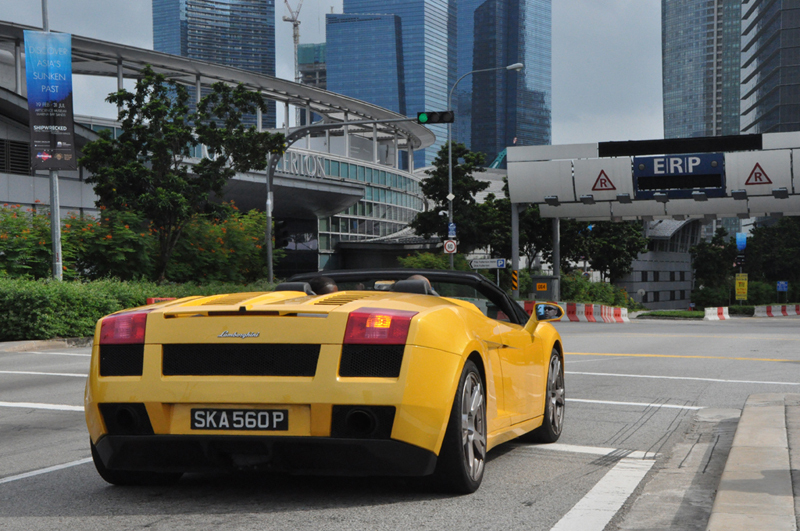 The one thing that anyone who is even vaguely interested in cars takes away from a visit to Singapore is the sheer quantity of nice metal that populates the roads of this progressive city. Despite ridiculous import duties that make even the cheapest Toyota around AUD$70,000 on the road, 5 series BMW’s and S Classes are commonplace. But I was chasing something a little more enticing. Such is the quality of Singapore that I managed to shoot the following collection in just a single five-hour stopover. Enjoy.